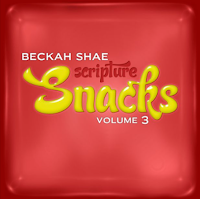 Beckah Shae announced today on her Facebook page that Scripture Snacks Volume 3 will be released on October 26th! The album will be available for preorder beginning September 30th, but is already available for download by her Patreon supporters. You can go here to become one of Beckah Shae's Patrons and receive her music, as well as exclusive sneak-peeks and other cool things, before anyone else! You will also be helping Beckah and her husband Jack to continue making the awesome music they have been giving us. Here is a teaser of one of the new Scripture Snacks, titled "Work." I love it! 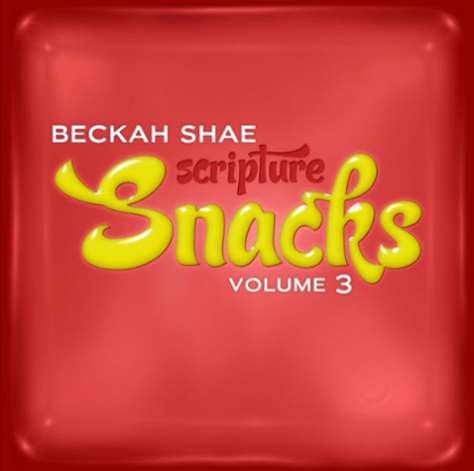 You can hear snippets of the rest of the tracks at Beckah Shae's Youtube channel here. I also thought I'd share one of my favorite Beckah Shae songs that I've been cranking up -- "I'll Be Alright," from her 2016 release Mighty. Turn the music up loud and enjoy!